Home Uncategorized Should banks care about millennials? 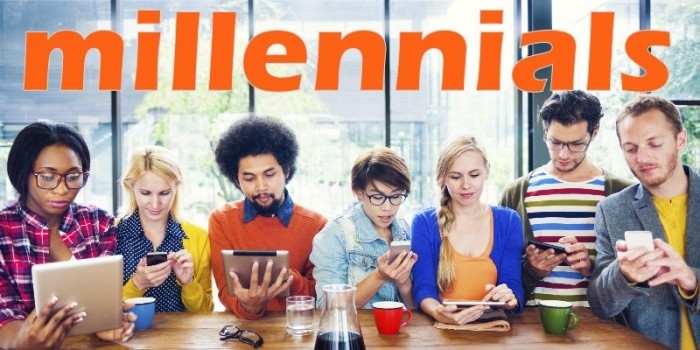 As a marketing professional, I do feel slightly bored with the buzzword ‘millennial’, and find myself asking what purpose the categorisation really serves – since millennials are all the people born between 1980 and 1996. Has this mammoth group (35% of the workforce in the US; 13.8 million people in the UK) got many characteristics in common? Several reports suggest they do, and offer advice on how banks (and FinTechs) may approach them differently. Sandwiched between ‘Generation X’ (born, roughly, late 70s to early 80s) and ‘Generation Z’ (born mid-90s to early 2000s), millennials or ‘Generation Y’ are characterised as being self-expressive, civic-minded, liberal and upbeat. 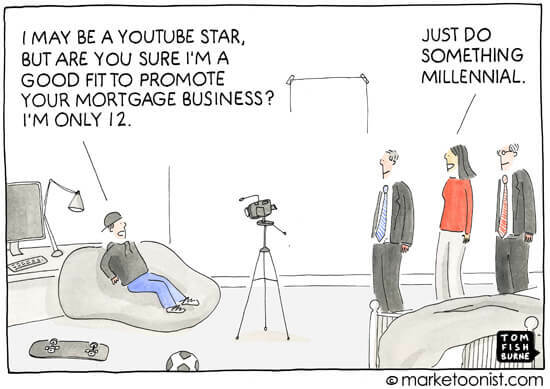 As one of my favourite marketing gurus Mark Ritson notes, the attributes we ascribe to ‘millennials’ could quite easily describe a phenomenon called ‘being young’ – and he warns marketers against lazy segmentation and mass marketing. Most millennials did grow up around technology, and are therefore often labelled as ‘digital natives’. But not all of them did. And there are plenty of digitally savvy consumers in other demographics. So why do we keep reading about how to market to ‘millennials’ digitally? And is there anything banks can actually learn? Apparently, millennials may be the segment least likely to rely on traditional ‘physical’ branch banking. However, as our recent infographic showed, those pesky youngsters DO enter a branch when it comes to complex financial products. An SMF study found that 72% of those under 30 would go into a branch when making a big decision, versus just 61% of those over 50. In a Fiserv study, quoted in Financial Brand, it was found that a high proportion of millennials had visited a branch in the past month – but a similarly high proportion had received a loan in the previous 12 months, which could explain the correlation. Most young people feel comfortable doing tasks on their phone, wherever they are. But does that mean they prefer it? 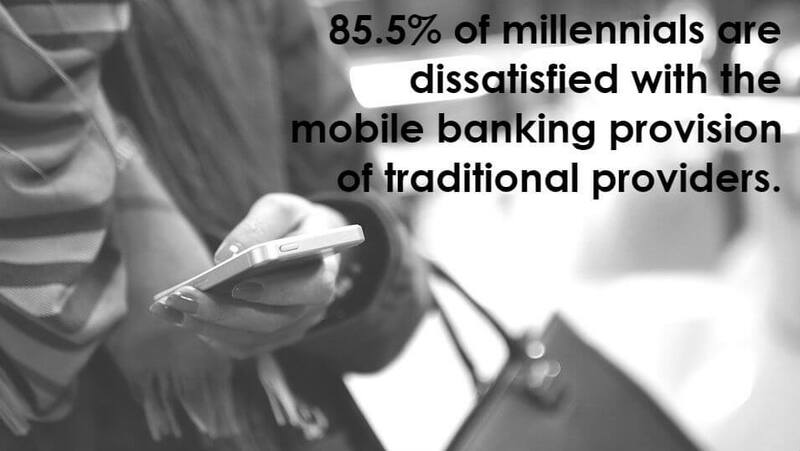 A Jumio Global Survey found that 85.5% of millennials were actually dissatisfied with the mobile banking provision of traditional financial services providers – a problem that challengers and FinTechs are likely to take advantage of. Apparently, millennials are far more likely to have a preference for ‘FinTechs’ over banks. A recent Salesforce report found that with 83% of millennials, 79% of Generation X and 62% of baby boomers in the US have used payment services provided by financial technology companies. The majority of millennials (55%) prefer to use FinTech firms, over banks, for payment activities such as peer-to-peer transfers, bill payments and loans. The statistics for Generation X and Baby Boomers were just 38% and 21%. The main reasons for this preference were ‘convenience’ and ‘ease of use’ by all three segments of respondents. The report also noted that millennials tend to have fewer accounts than those in previous generations (a symptom of being young and mortgageless, perhaps?) and are more likely than Gen Xers and baby boomers to have switched to a digital bank (13% have done so, so it’s still not huge numbers). While millennial branch switchers, as other generations, were largely basing their decision on physical branch location, a significant proportion (29%) switched for an ‘easy-to-use mobile app’. (Just 8% of baby boomers gave that reason). And yet. Gallup research found that (despite low satisfaction levels) millennials have a higher share of wallet with their primary bank than any other generation. Loyalty appears to hinge on how often they are communicated with, a nice bit of personalisation, and some decent rewards. In certain cities (my own experience being in London), the fact that younger people are struggling to get on the property ladder is discussed almost daily. Lenders have reintroduced mortgages with tiny or ‘barely there’ deposits, targeted at millennials, and a few providers are making strides in the digital application process for these complicated products. But, as noted above, if millennials are more likely to go in branch for ‘complex’ decisions, is that really a necessary effort? Is it for the benefit of the digitally savvy in other demographics? Indeed, Bobsguide recently noted that the house purchases of millennials will be supported by baby boomers (bank of mum and dad), so the notion that the next era of mortgage marketing should focus on the young is perhaps unfounded. Luckily, a seamless digital experience is something people of all ages can find benefit from. Finally: Do millennials follow a different pattern when it comes to payments? 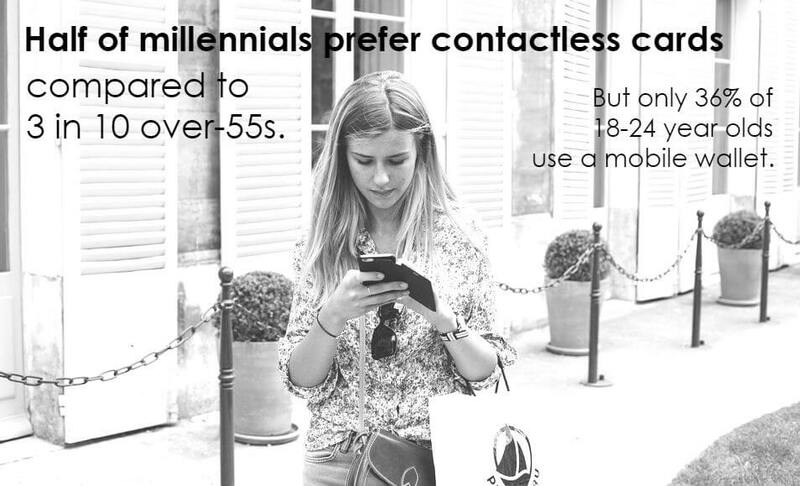 A YouGov survey quoted in eMarketer found that half of millennial and Gen X internet users preferred contactless cards as a payment method for general shopping. Approximately three in 10 respondents ages 55 and older said the same. Considering the fact that millennials take their phone to work, bed, the toilet, and even funerals, it seems surprising that uptake of mobile wallets isn’t higher. Are we finally ready to accept that the smartphone isn’t the only thing we want to carry around with us? And that millennials are equally concerned about data breaches and the security implications of keeping all your proverbial eggs in one basket? Many have written about the issues of lumping together everyone aged 17 to 37. When people say ‘millennial’ in the context of marketing, they often just mean digitally savvy. But EY research found that ‘across all age groups and countries, respondents are typically more digitally confident than they are financially savvy… and, against common belief, digital savviness is only slightly correlated to age.’ A recent Nielsen report even found that Generation X used social media more frequently than any other generation. That explains all those Farmville requests from my aunt. Ritson also makes a point that banks are surely acutely aware of: The older generation still has more money. Why are we targeting the young and poor when the old and rich are more profitable, and less risky, for the bank? With the burden of student debt being the only real defining characteristic of those aged between 20 and 30, in both the UK and US, is it worth going after them at all!? As we have argued before: segmenting by age alone is a blunt instrument. Targeting the digitally-savvy, on digital channels, will rest on using behavioural, not demographic, information. Cross-selling to existing customers should be based on what they do, not how old they are. And the data that becomes available following PSDII should give banks the intel they need to promote the right thing at the right time to the right person – and there are challengers ready to do this if the incumbents don’t.